The Republic of Armenia annually celebrates one of its most important public holidays – Independence Day – on September 21. The territory of Armenia, along with Azerbaijan and Georgia, was annexed by Bolshevist Russia on March 4, 1922. Part of the territory of present-day Armenia was controlled by Russia, and another part was controlled by Turkey, that was stated in the Turkish-Soviet Treaty of Kars. In 1936 the Armenian SSR was officially established. The years of Soviet era featured stability and economic growth in Armenia. The years of political instability began in the 1980 after implementation of various reforms. Then General Secretary of the Communist Party Mikhail Gorbachev was unable to deal with growing tensions in Armenia, that resulted in establishment of the New Armenian Army, leading the country toward its independence. Armenia declared independence on August 23, 1990 but it was recognized as a sovereign country only on September 21, 1991 after dissolution of the Soviet Union. 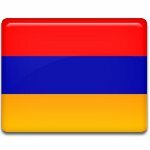 This day is annually celebrated in Armenia as Independence Day.